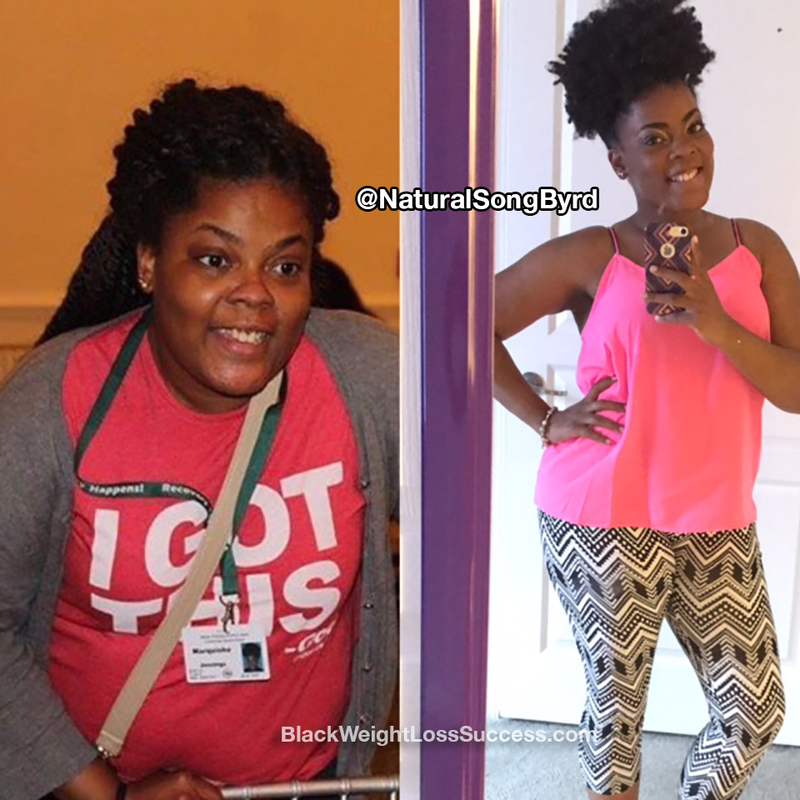 Transformation of the Day: Marquisha lost 40 pounds. Her journey started when climbing 3 flights of stairs required a 20 minute sitdown. She was also taking meds for high blood pressure. Joining a gym, cutting out the junk and eating healthy food was a winning combination for her. Check out her story. In November 2015, I started a new career. I had recently moved out of my parents house into my first apartment, which was on the 3rd floor with no elevators. I was tipping the scale at about 200lbs at the time. I couldn’t climb the 3 flights of stairs to my apartment without having to sit for over 20 minutes, because my heart rate was out control. I purposely placed a chair right by my front door so that I could sit in it after climbing the stairs each day. Later, I learned that I had a abnormally high heart rate when I casually looked through my medical records one day. My doctor never mentioned anything about it, so I never knew my heart rate was higher than it should be. In addition to this, I had high blood pressure. I was diagnosed in my early 20’s and I was not sure if that is what caused my unusual heart rate. On top of all of this, shopping for clothes was a nightmare because nothing seemed to fit. It was a very frustrating time for me. In February 2016, I changed my life by joining a gym. I’d joined a gym before, but this time was different because I was tired of my clothes not fitting, and tired of being TIRED! Joining this particular gym was the best decision I’ve ever made. I am easily bored with the same routine, so I knew that walking on a treadmill everyday was not going to motivate me to continue going to the gym regularly. So, I decided to try a few of their exercise classes. I started with Zumba. Later on, I tried MixxedFit. I took these classes two and three times a week. 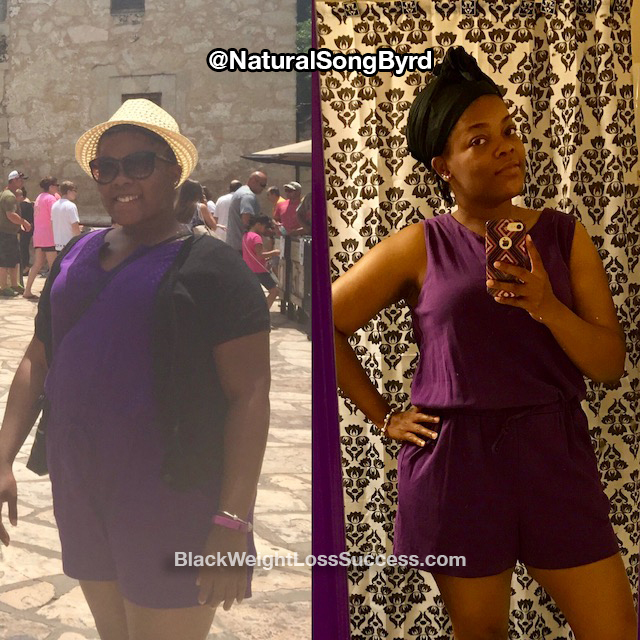 I was eating out less and eating more at home and increasing my water intake. This is how I was able to lose 40lbs in about one year. I also lost a lot of inches and it shows in the fit of my clothing. I went down two pant sizes and two dress sizes, going from size 16 to a size 12. My shirt sizes went from large/x-large to medium. My heart rate at my next appointment was normal. I was not breathing heavily while walking up my stairs. I even started running up to my 3rd floor apartment! I am truly grateful for this journey. My weight loss was not a result of some strict diet. I just started caring about what I was putting into my body. I also grew to understand the importance of exercising on a regular basis. I did my best to limit my salt intake… still a work in progress. I am still on blood pressure medication, but every time I start feeling like slacking off I remember that my health depends on me continuing to stay active. Getting off of my blood pressure medication is definitely a goal. I feel like, at my age, I should not be taking medication to lower my blood pressure. I have not reached my goal weight, but I am 20 pounds away from it! Everyone’s journey is different. My motto is “No matter where you are in your fitness/health journey, start somewhere!” It is never too late!